Digital videotapes waiting to be digitized. 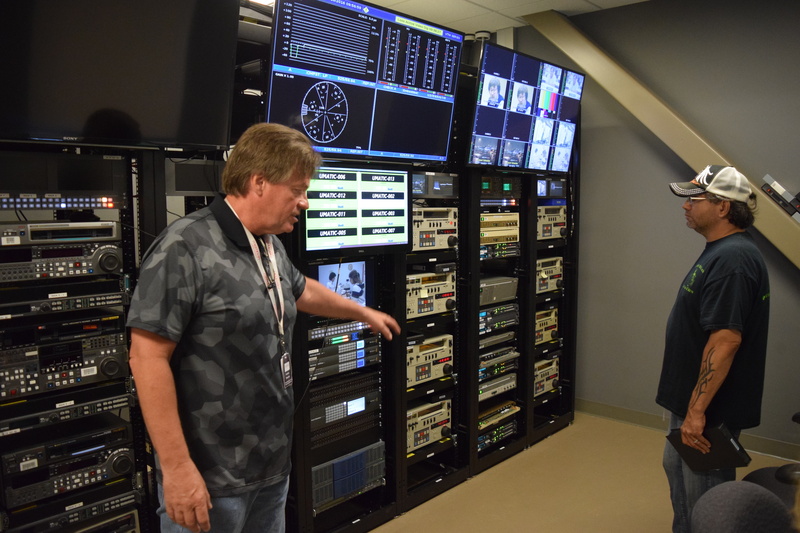 In a previous installment of this blog, we described the recent acquisition of the Agency for Instructional Television/Technology (AIT) and its importance as a collection for future researchers. 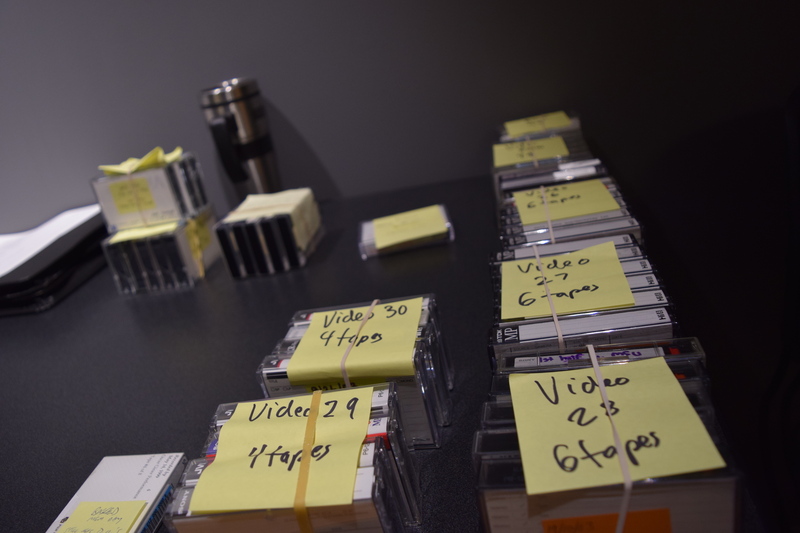 Once unpacked, the materials from AIT were sorted, counted, and inventoried by IU Libraries’ Moving Image Archive staff in order to prepare the items for digitization. 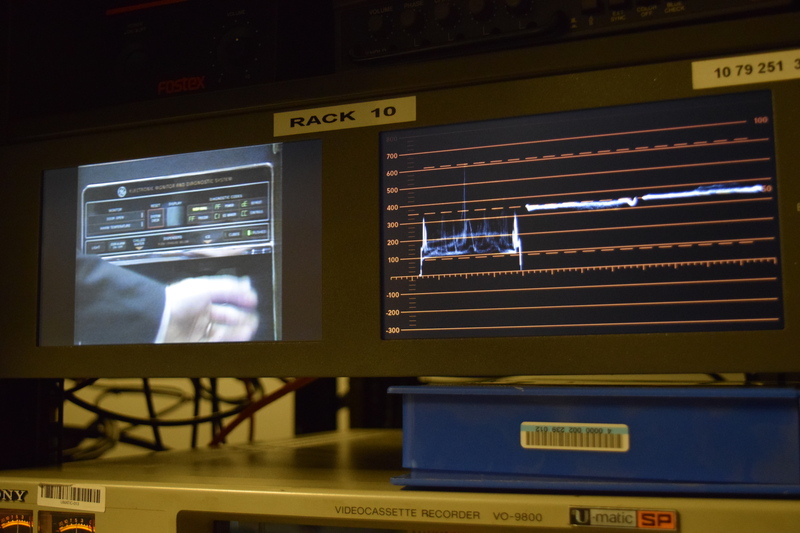 The process includes recording as much information as possible about the specific object, such as whether it is a broadcast master, raw footage, or a production element. The more information that can be preserved about these items the better, as this information will be valuable to future researchers who may want to know more about the production workflows at AIT. The recorded images that appear on many of these items provide potentially useful information about shooting locations, particularly those around AIT’s offices in Bloomington and the Central and Southern Indiana region. For instance, one AIT program about economics and small business development depicts the interiors of an early location for the Bloomingfoods Market and Co-op. Other bits of raw footage depict the Indiana University campus and downtown Bloomington before some of the urban renewal projects that altered the appearance of the city. Detail of U-matic monitoring equipment. Before any of these videos are ready to be viewed, they are sent to the Media Digitization and Preservation Initiative (MDPI), which, partnering with Memnon Archiving Services, a division of Sony, has been working to preserve several varieties of audio-visual material held on IU’s campus in multiple libraries and archives. 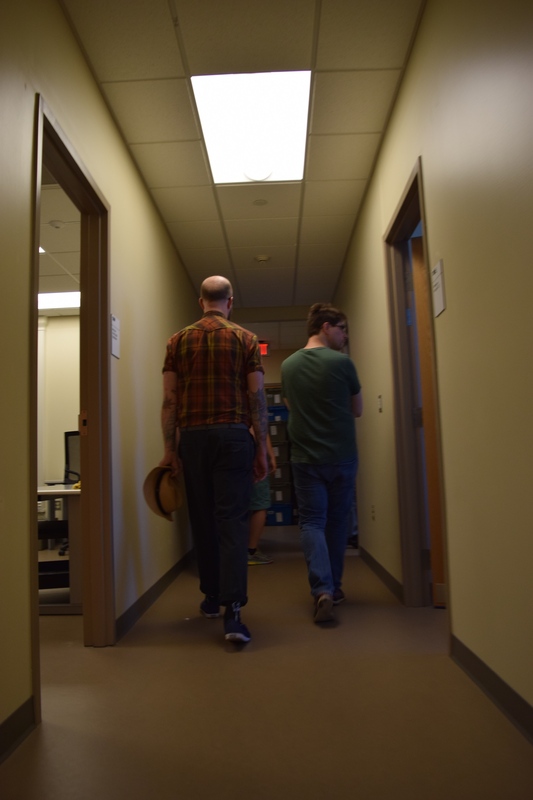 Our staff took a tour of the facility MDPI and Memnon shares to see just what some of the dedicated preservationists there have been up to and to see the process that some of our AIT materials have been undergoing on their way to digitization. Andrew Depuzzo, director of Memnon U.S. operations, at a digitization unit for U-matic tapes. 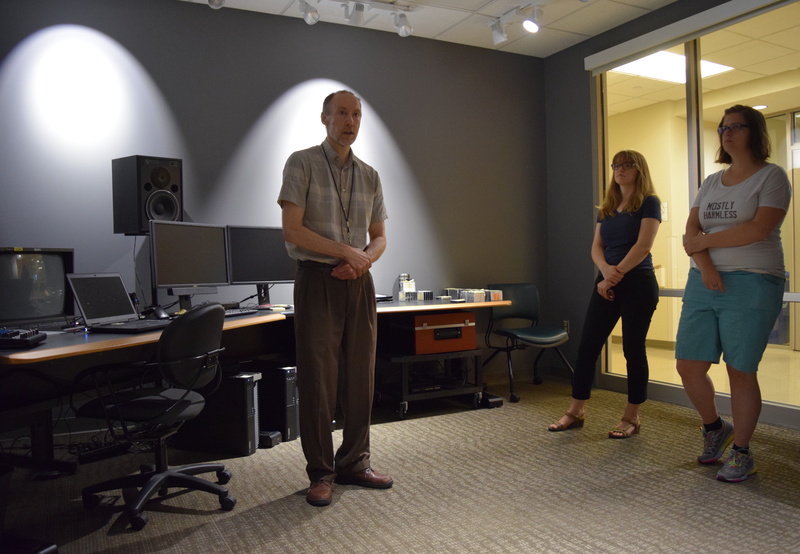 Mike Casey explaining the process to Moving Image Archive staff. Digitization workstation with U-matic and DVCam decks. 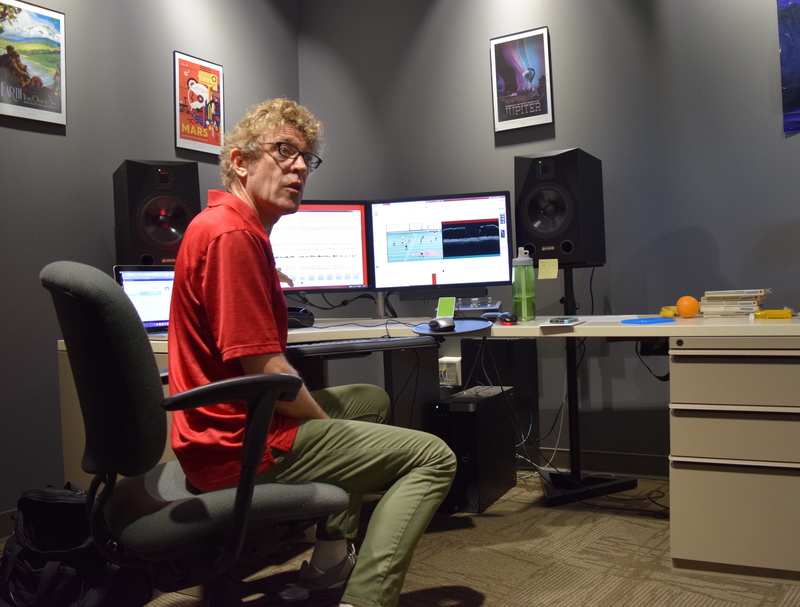 Glenn Hicks explains how he does quality control on the large volume of digitized files processed everyday. 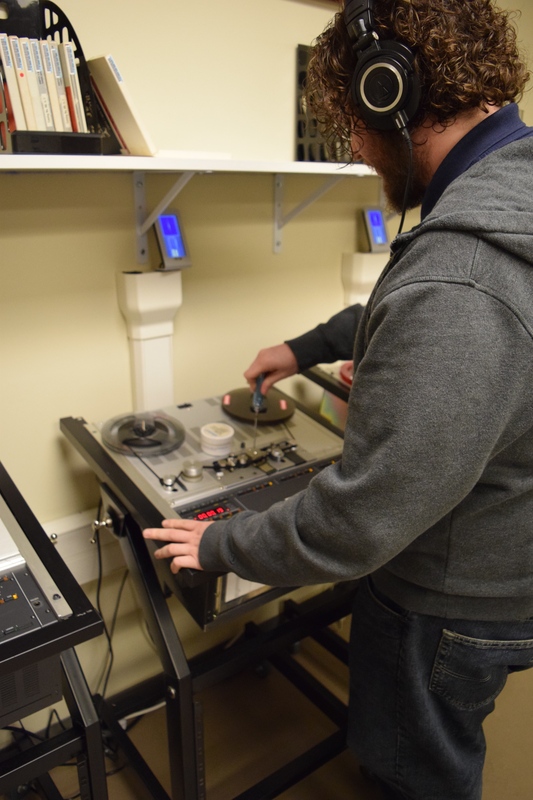 Digitization Technician making adjustments to audio tape decks. 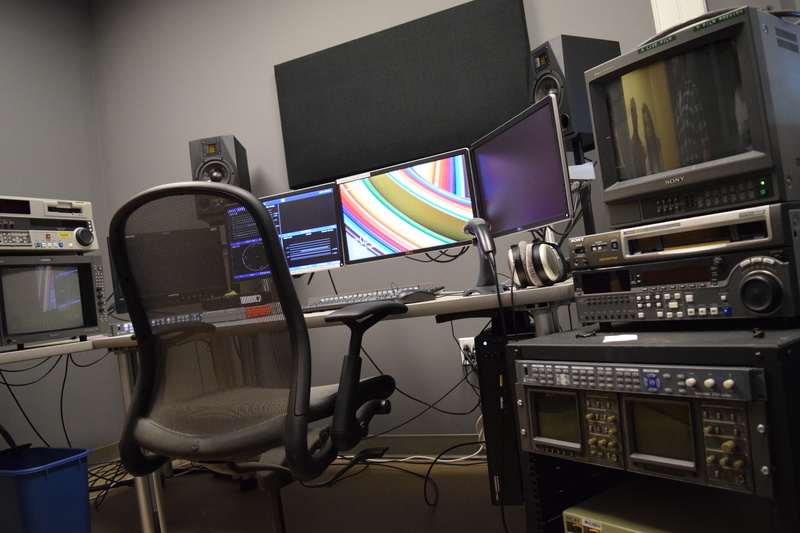 It’s back to work for IU Libraries Moving Image archivists! Previous Previous post: Social Guidance Sunday’s Halloween Edition is an Educational Scream! Next Next post: Just in Time for the Holidays – “Holiday Shopwise”!